At the break of dawn on December 14, 1807, a meteoroid exploded over Fairfield County. Shards of rock were witnessed to have fallen from the sky in Weston and a 30-pound specimen was put on exhibit that day at a town meeting. The event was headline news. Only a few years earlier, in 1803, investigators had proven that stones recovered in L’Aigle, France, were indeed fragments from meteoroids that had fallen to earth during a meteor shower. The Weston meteorites were the first to be recorded and studied in the United States of America. Upon hearing the news, Yale professors Benjamin Silliman and James Kingsley traveled to Weston to investigate the phenomenon, interview eye witnesses, and collect what pieces they could recover. Professor Silliman went on to perform what is believed to be the first chemical analysis of a meteorite in the US and in doing so proved that the shards contained iron. Silliman and Kingsley published a detailed description of their find for the public on December 29th in the Connecticut Herald, and Silliman later published a paper in Transactions, the journal of the American Philosophical Society, in 1808. It was the first scientific account of an American meteorite. Unwittingly, Silliman became the father of the area of study now known as meteoritics. Out of the approximately 350 pounds of meteorite that fell on Weston in December 1807, fewer than 50 pounds can be accounted for today according to the Yale Peabody Museum of Natural History. “The Weston Meteorite.” Yale Peabody Museum, 2016. Link. Fisher, George Park. “Geology and Mineralogy in Yale College: The Weston Meteor.” In Life of Benjamin Silliman, M.d., Ll. D., Late Professor of Chemistry, Mineralogy, and Geology in Yale College. 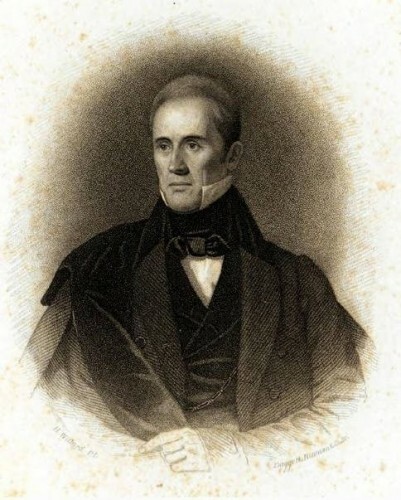 Chiefly from His Manuscript Reminiscences, Diaries, and Correspondence., Vol. 1. New York: Charles Scribner and Company, 1866. Link.